We were delighted to welcome Lord Faulkner of Worcester to Prince Henry’s this afternoon. 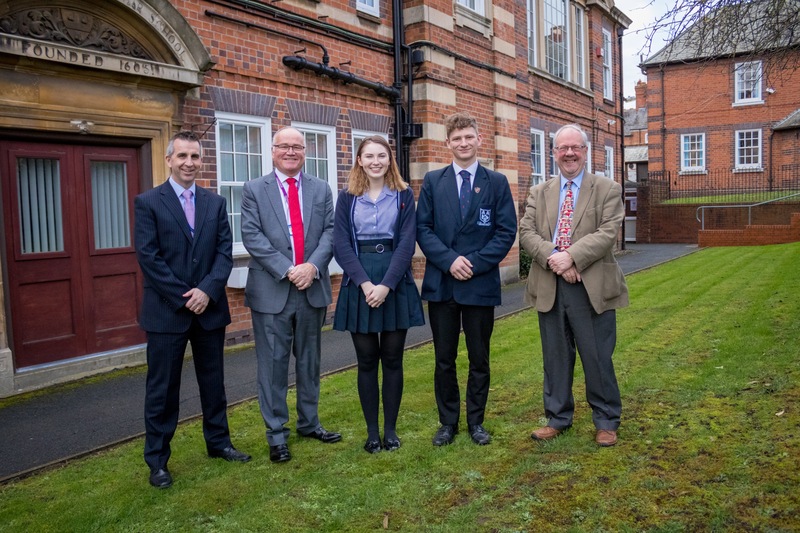 During his visit Lord Faulkner, who was appointed to the House of Lords in 1999, he met with Dr Evans (Headteacher), Mr Butcher (Chairman of Governors), Fran Neal (Head Girl) and Ben Holland (Deputy Head Boy). 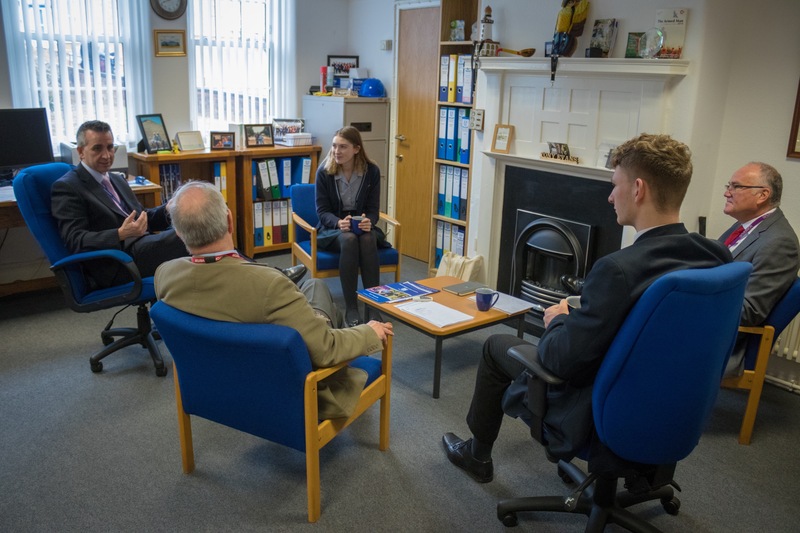 Over a warm cup of tea, Fran and Ben talked about the events of 2018 and were delighted to discuss their plans beyond Prince Henry’s.